The event starts on Wednesday 11 July and ends with the Parade of Sail on Saturday 14 July. The Ships will be split across two event sites on either side of the River Wear, with the North event site at St Peter’s Campus and the South event site on the Town Moor with the Ships moored in the Port of Sunderland. The ships will arrive by lunchtime, making spectacular viewing from the seafront and around the quaysides of the River Wear. The entertainment and festivities will commence across the event site and ships crews will enjoy inter-ship sporting activities. Ships will open at specific times for visitors to explore on board and discover more about these magnificent giants of the sea. The programme of culture and entertainment for event visitors continues. The ships’ crews will enjoy a morning of sport and culture before the upbeat Crew Parade weaves through the City Centre from Burdon Road, along Fawcett Street, crossing Wearmouth Bridge and heading to the North event site at St Peter's. The festivities will continue across the city and a full programme of entertainment will ensure that there is something for everyone to enjoy. The evening will include an awe inspiring high wire walk across the River Wear by Cirque Bijou at 9pm is the cultural highlight of the week, accompanied by live music and a few surprises! The ships will be closed for public access as they make final preparations for the Races. There’ll be lots to see in the Port of Sunderland and along the river banks as the ships get ready to leave. They will undock over the course of the afternoon and move out into the North Sea to partake in a stunning Parade of Sail, sailing northwards and on to their next destination. The entertainment will not stop when the ships leave, with revelries and programmed events continuing well into the evening as the city reflects and celebrates a fantastic few days. During the Tall Ships event, we’ll be running extra buses to the South event site; Park & Ride from 5 sites across the city, a shuttle service between the two event sites as well our usual high frequency services which run into Sunderland City Centre, with many stopping close to the North event site. Our usual 33 service will be split in two during the Tall Ships event, with buses from Silksworth terminating in the City Centre. Buses to the Docks and South event site will run every 12 minutes during the day from Park Lane Interchange, Vine Place and Borough Road (for Sunderland Metro/Rail Station) to the South event site at the Town Moor. All our usual fares and ticket arrangements are available on this service. Deptford Terrace (PR1) – buses running to South event site on Tuesday to Friday during event opening times and to North event site on Saturday. Downhill (PR2) – buses running to South event site on Wednesday to Friday during event opening times and to Recreation Park at Seaburn on Saturday. Herrington Country Park (PR3) – buses running to South event site on Wednesday to Friday during event opening times and to North event site on Saturday. Fulwell Quarry (PR4) – buses running to the North event site on Tuesday to Friday during event opening times and to Recreation Park at Seaburn on Saturday. Seaburn Camp (PR5) – buses running to the North event site on Wednesday to Friday during event opening times and from Stadium of Light to Recreation Park at Seaburn on Saturday. Park & Ride bookings can be made in advance at tallshipssunderland.com with a price of £10 per car including the driver and up to 4 passengers. Parking will be available on the day, and will cost £4 per person (Children aged 4 and under travel free). Payment can be made with cash or with contactless card. Park & Ride tickets will also be valid on the shuttle service running between the North & South event sites. Concession passes and tickets from Go North East, Nexus or Network One aren’t valid on Park & Ride services. The TS1 will link the North & South event sites, with buses running at frequent intervals during event opening times on Tuesday to Saturday. Park & Ride tickets will be valid on the TS1, or tickets can be bought from the driver at £2 per person (children aged 4 and under travel free). Payment can be made with cash or with contactless card. 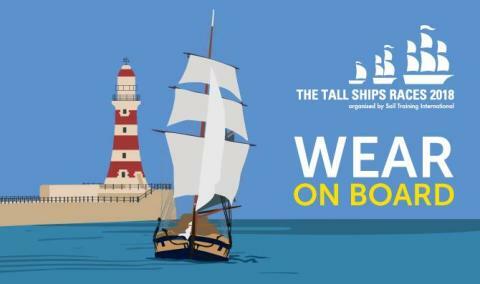 We’ll be running all our usual bus services throughout Sunderland during the Tall Ships event. Some of our services will be diverted during the afternoon of Thursday 12 July during the Crew Parade as Fawcett Street and the Wearmouth Bridge will be closed for a short period of time. We’ll also see similar diversions during the evening of Friday 13 July as Wearmouth Bridge will be closed during the Cirque Bijou performance. Further details will be available nearer the event. Need help planning your journey? Get in touch with our Customer Services Team and they'll have you on your way in no time at all.